HE'S copped some nasty barbs about his weight over summer. Now Greg Inglis is ready to fire back. The South Sydney superstar is edging closer to making an extraordinary entry into the 2019 NRL season in next Friday night's round one blockbuster against the Sydney Roosters. And Inglis' great mate Justin Hodges has urged the 32-year-old to ignore the outside noise and push ahead with his plan to play fullback this season. The odds of Inglis starting the season have reduced dramatically in the past few days, to the point where he is now more likely than not to run out against the reigning premiers at the Sydney Cricket Ground. 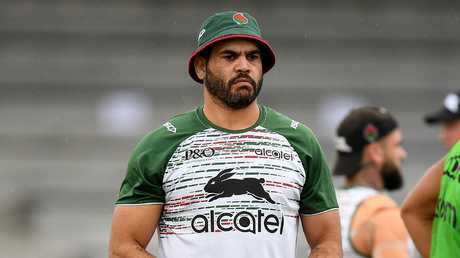 The Rabbitohs are in no way going to push Inglis to play if he is not ready. But it appears that he has overcome a knee injury complication that was holding him back, and he just has to get through the next week of training to be passed fit. Inglis has battled a knee injury for much of the pre-season. Photo by Mark Evans/Getty Images. Just having him on the field will be an enormous boost for the Rabbitohs who were super impressive in their Charity Shield thumping of St George Illawarra, even without their inspirational skipper or halfback Adam Reynolds. Reynolds also sat out the pre-season trials because of a shoulder injury but he has been pencilled in to take on the Roosters. 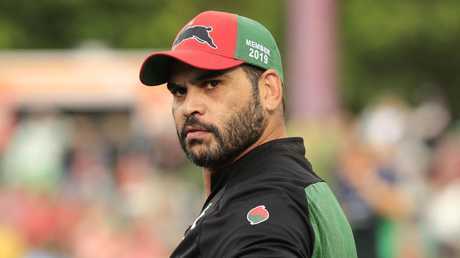 The next debate that will do the rounds is whether Inglis should also shelve plans to wear the No.1 jumper and revert to left centre, that will be less taxing physically. While Inglis is expected to start the year playing centre, Hodges has no doubt if Inglis believes his body can handle the extra workload, he should stick to his guns and take on his critics. "When he plays left centre you see a lot of sides put numbers on him and that limits what he can do," Hodges said. "I just think at fullback he is more dangerous. "I know when I used to defend him myself at right centre, if you can get a bit of help with him you feel a little bit safer than when he is coming out the back and he can pop up anywhere." Inglis is expected to start the year at centre. AAP Image/Dan Himbrechts. Inglis has had to live with some hurtful and unsubstantiated reports in the last month that he was up to 14kg overweight, and struggling with motivation. 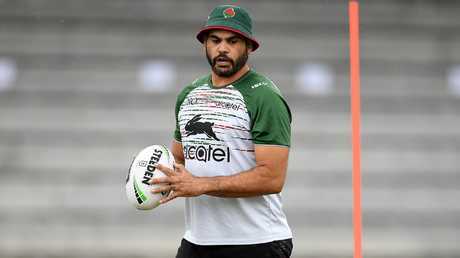 Coach Wayne Bennett was adamant throughout that Inglis was only about four kilos over his playing weight, which was to be expected because of his ongoing knee problems. "He has probably put on a couple of kilos but that happens with most players, especially when you have a knee injury and you are a little bit older," Hodges said. "We have all been guilty of that. "But he knows what it takes to get his body right and he has earned the right not to work his body too hard in the off-season. He just has to get his mind ready. You don't want him burning himself out. "After a few weeks he will be back where he needs to be for sure. 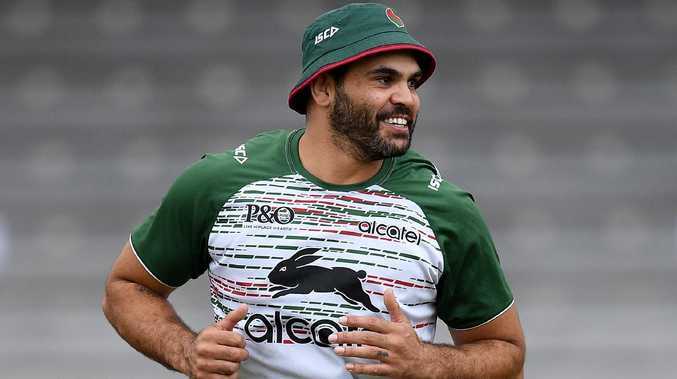 I caught up with him a couple of weeks ago, he's going OK.
Greg Inglis has been told what he needs to do to get on the field. AAP Image/Dan Himbrechts. "He seems to be happy off the field and whenever he is happy off the field his form reflects that on the field." Hodges reckons Bennett will find a way to bring the best out of Inglis in his final years of NRL. "Every time someone writes off a champion they find a way to perform," Hodges said. "He is one of those guys who loves big games. He loves the pressure. 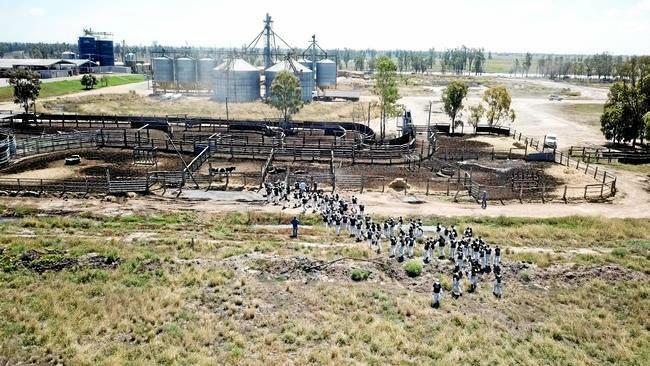 "I think under Wayne he will get a new lease on life. Wayne knows how to look after his older players. "I have seen him do it over the years with Locky, Gordie, Wendell and all these guys. "Wayne will be fantastic for him."